The growth of the mobile internet has led to dramatic changes to way people get information while on the go. Because of this, many business owners have begun to recognize the benefits of mobile marketing and begun ensuring that their websites are mobile compatible. 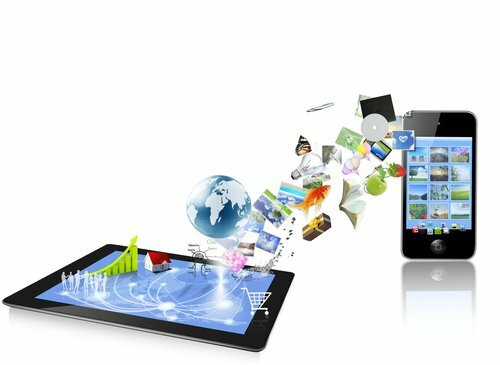 However, mobile devices have become so sophisticated that it’s important to understand how people are truly using them. Forrester Research and Accenture recently released a study with a lot of useful information about how consumers use their mobile devices and it turns out that functionality is the key. Using their data, this post will show four ways business owners can make their mobile site more useful to consumers. The first thing business owners and marketers need to realize is that even if they don’t sell things online, people still expect to find product information on the mobile site. According to the study, 71 percent of US consumers expect to be able to view a retailer’s in-store inventory online. When such a large majority of consumers expect something to be on a mobile site, it means they are likely to leave a site that doesn’t have in-store inventory information for a site that meets their expectations. Besides making the inventory list available, business owners would be wise to implement a system that provides up-to-date inventory availability information. It takes effort to implement these kinds of systems but there is a value. People don’t want to travel to a store to find that the item they came for is out of stock. For that reason, 38 percent of US consumers have used their mobile devices to check inventory availability while on the way to a store. If one mobile site shows the item is definitely in stock and a different mobile site leaves that information ambiguous, then the consumer will likely go the store where they know they’ll get what they want. Many businesses have begun implementing site-to-store shipping options for orders bought online, but it’s equally important to let customers order from the in-store inventory online and pick it up in the store. It’s the other side of the previous point. People want to be sure they’ll get what they want, so if they can order before they leave, all the better. In fact, 50 percent of US consumers expect to be able to purchase items online and pick them up in-store and 25 percent have picked up items in-store on the same day that they purchased them online. For many years, the conventional wisdom was to strip out extra information so a mobiel site would load faster. Often, this meant products with small descriptions and only one picture. However, now that the mobile devices are more powerful, mobile internet speeds are faster, and people are using their mobile devices as primary search tools, marketers need to make sure full product information is available on mobile sites. The study reported that 56% of US consumers have used their mobile devices to research products at while home. This means that people were looking at mobile sites even when they likely had access to a desktop or laptop. Business owners who are relying on people going to their main site to get the full product information risk losing customers to mobile marketers who have all the information where the consumer wants it. As technology grows, business owners and marketers need to continually adapt their strategy to get the maximum benefit from their mobile marketing efforts. In the end, it doesn’t matter how marketers would like consumers to use their mobile site, what matters is what consumers actually do. This research shows that consumers expect mobile sites to be highly useful. By providing as much information to consumers as they like in the format of their choosing, business owners can make their mobile site more useful to their clients.